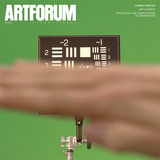 Crystal Moselle, The Wolfpack, 2015, digital video, color, sound, 84 minutes. From left: Krsna, Jagadisa, Bhagavan, Mukunda, Narayana, and Govinda Angulo. THE WOLFPACK, which won the grand prize for documentary at Sundance 2015, is a celebration of movies and the cinephiles who live through and by them as if their obsession weren’t going out of style. A male coming-of-age narrative, it delivers sometimes frustratingly fragmentary information via crude video imagery and a subtle sound track in which an undercurrent of dread is punctuated by moments of exhilaration. Not until the film’s end does one realize what an epic and intimate story has been told by fledgling documentarian Crystal Moselle. In the spring of 2010, Moselle spied six adolescent boys, all with long, straight, dark hair and angular faces, running along First Avenue in the East Village. It was one of the first times that the Angulo boys had ever left their family’s Lower East Side apartment together, and for most of them, one of the first times they had been outside without a parent chaperone. Moselle struck up a conversation; when she told them she was a filmmaker, they were intrigued. A few months later they invited her home. She stuck around with her video camera for four years, shooting the boys, their intellectually disabled older sister, and their parents, Susanne and Oscar Angulo. Susanne, a midwestern hippie, met Oscar, a Peruvian, hiking the trail to Machu Picchu at the end of 1989. They traveled together in the US, lived in a Hare Krishna commune, and eventually settled in New York. Between 1990 and 1998, they had seven children, all named for Hindu deities. By homeschooling them, Susanne earns what seems to be the family’s primary income. Oscar, who is paranoid, alcoholic, physically abusive to his sons and his wife, and filled with grandiose delusions about his mystical powers, explains in one of his rare on-camera talkative moments that he locked his children away to keep them free of “social pressure” and away from drugs and violence. But from his sons’ perspective, he was the warden and they were his prisoners. “The only thing he gave us was movies,” one of the boys tells Moselle, and the way they see it, the movies saved their lives. It was from Oscar’s collection of five thousand VHS tapes and DVDs, rather than from Oscar himself, that his sons learned about the world and what it is to be a man. Never couch potatoes, they transcribed the dialogue from their favoritesThe Dark Knight, Reservoir Dogs, Halloweenmade costumes and props, and acted out iconic scenes, racing through the apartment’s long corridor. Playing the Dark Knight is a big responsibility, according to Mukunda, the middle son, clearly the leader of the pack. In the film’s most haunting imageit’s one of the only moments when the active handheld camera comes to restMukunda, concealed by his Batman costume, stands at a broken living-room window, looking out over the city that was, to him, another world. Playing Batman gave him the courage to steal his father’s keys and go out by himself. Since he was wearing a Michael Myers mask and clearly confused, the cops picked him up before he had gone two blocks. He ended up in a psych ward: “It wasn’t like [One Flew over] the Cuckoo’s Nest.. . . He brought a lot of joy to the hospital,” his brother Govinda explains. After Mukunda was released, he and his siblings began therapy, and the power dynamics in the apartment changed. Mukunda went out alone again, then another brother followed suit, then they all went out together, which is when they were discovered by Moselle, who made them the stars of a movie in which they played the selves they had dared to imagine they might be. The Wolfpack is divided into two acts. In the first, Moselle reconstructs the boys’ lives before she met them, intercutting her off-the-cuff, on-camera conversations with them as they hang out in the apartment with home video shot by Oscar as well as with videos the boys made of their performances. The second half, shot over four years, follows the transformation of the family as the boys become increasingly independent and their mother develops a sense of agency. By the end, Govinda has moved into his own apartment and Mukunda is getting PA jobs on independent movies. But even in the most optimistic moments, a foreboding thrum is barely audible on the sound track, and there’s Oscar, lurking about like a potentially homicidal character in a horror filma nightmare his sons will carry with them forever. Moselle has a light touch, and the boys are so bright and so graceful that you could easily miss the darkness, but make no mistakeit doesn’t go away, not even in the final scene, in which we see Mukunda shooting his own short film.The camera is positioned in front of a narrow stage. His brothers and his mother and father take turns standing alone on a wooden dolly that is pulled across the stage. They wear masks or elaborate face paint. Oscar has a glowering third eye pasted on his forehead. But there is someone elseChloe, a pretty blonde in a salmon bouffant thrift-store dress. She could have stepped out of a David Lynch film. In any case, she has opened a door to the futureon the screen and beyond the cameras as well. 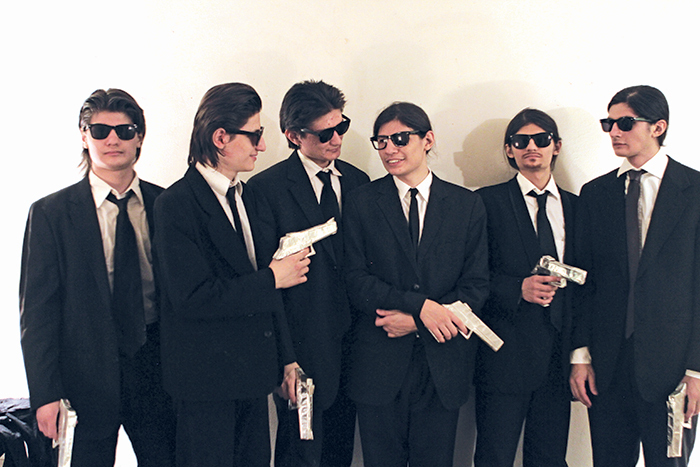 The Wolfpack opens at the Elinor Bunin Munroe Film Center and Landmark Sunshine Cinema in New York on June 12.